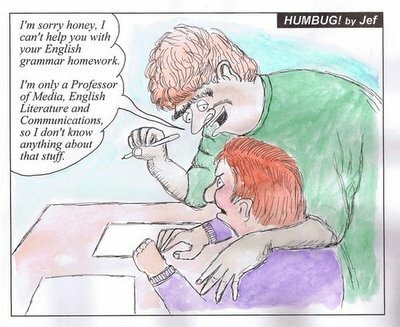 The Skeptic's Field Guide: Faculty Follies - Masterclass or Humbug? 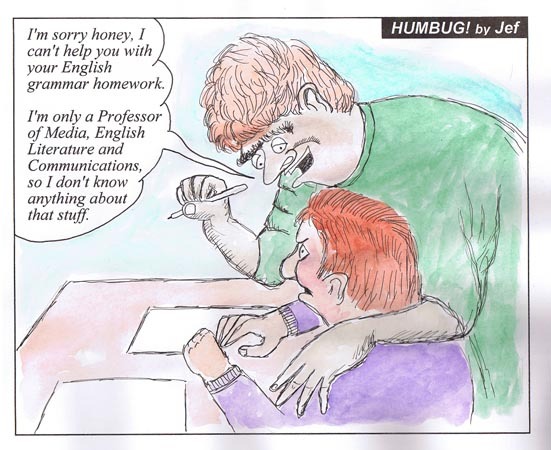 Faculty Follies - Masterclass or Humbug? The Centre for Applied Language, Literacy and Communication Studies at Griffith University recently put out a brochure inviting practitioners, students and researchers to a "Masterclass". The title of the masterclass was given as: "Issues of Epistemology in the Study of Opportunities for Learning in Classrooms: An Interactional Ethnographic Approach". As a leisure artist, sometime painting and drawing tutor and occasional renderer of saleable oil paintings, could I register a protest here at the hijacking of a perfectly good term which has long been associated with the visual and performing arts. "Masterclass" indeed. Is it too late to change the nomenclature to something more apposite and less pretentious? Gabfest perhaps? This master class will explore issues of epistemology involved in researching complex educational phenomena. By taking Interactional Ethnography as a telling case (Mitchell, 1984), we make visible how the researcher(s)’ logic on inquiry shapes, and is shaped by the research problems, questions, research design, methods of analysis, and ways of representing findings, outcomes and/or consequences. By presenting a range of studies (from classroom studies of learning to interview studies of the impact of reforms) that have been undertaken using this perspective, we illustrate why it is necessary to view education as a complex system, and how an Interactional Ethnographic approach provides a systematic means of examining the impact of reforms on the lives and experiences of local actors, and how historicity and intertextuality are central constructs in the study of learning in classrooms. We draw on a series of research studies between 1991 and the present to show factors at multiple levels of scale that support and/or constrain the lived experiences of both students and teachers in ever-shifting reform contexts. The "masterclass" (gabfest) is to be conducted by Professors Judith Green and Audra Skukauskaite. Note that what is being offered here is no less than a Masterclass. A masterclass which is to be offered through the aegis of a University-based Centre for Applied Language, Literacy and Communications Studies (my emphasis). I presume the professors are jointly responsible for the paragraph above. If so, they might consider enrolling in a class rather than teaching a class. Not a masterclass, but a remedial class - on syntax, punctuation, and word-usage. Perhaps such a class could be found in the schedule of offerings put out by the Centre for Applied Language, Literacy and Communication Studies at Griffith University.